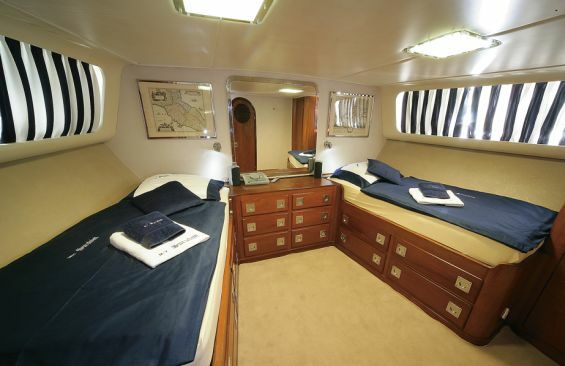 Classic yacht SURUBIM is a displacement motor yacht with a caster steel hull built in 1969 by CRN Ancona in Italy, she has been impeccably maintained by her owners to a very high standard. 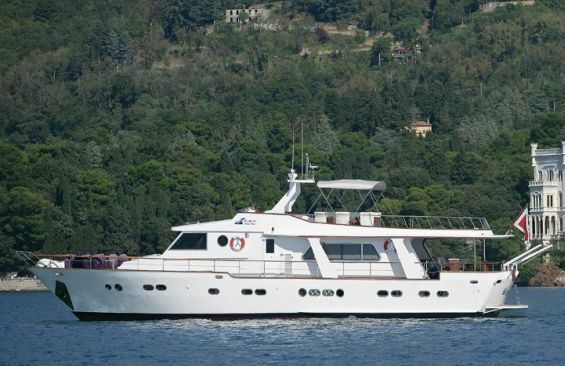 The yacht measures 23m (75,5ft) and can accommodate up to 8 guests in 4 cabins, she is available for charter on the Italian east coast, Croatia and Montenegro. 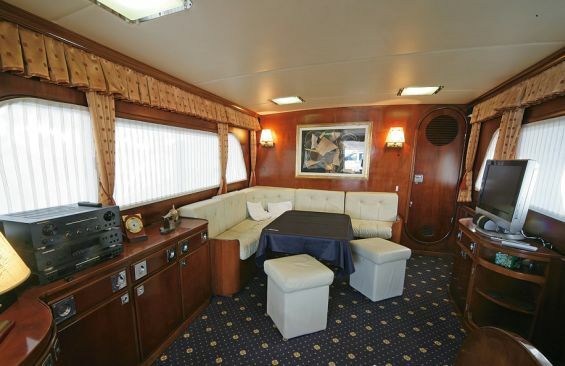 M/Y SURUBIM has a charming interior which exudes maritime elegance. The salon has contemporary feel, featuring rich wood panels, cream leather soft furnishings and fine blue carpeting. A cleverly built table rises to become a formal dining area, thus not using precious salon space. 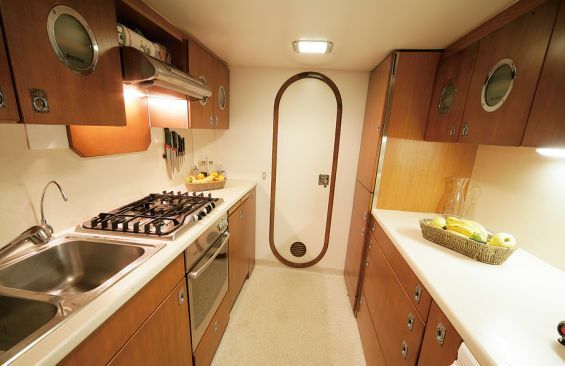 Panoramic windows and overhead hatches provide ample natural light. Guests may also enjoy entertainment from the large flat screen TV. 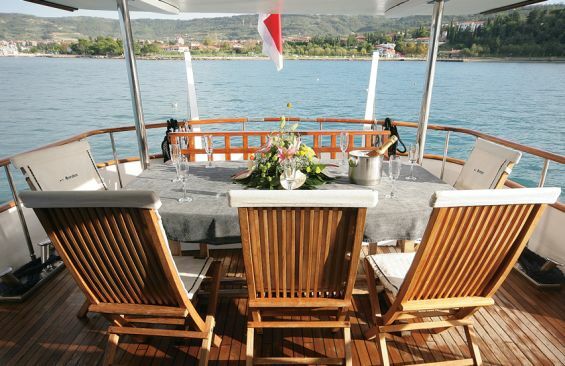 Motor yacht SURUBIM offers plenty of teak deck areas to relax. The aft deck is shaded and features an alfresco dining option, further aft a swim platform is ideal for easy water access. 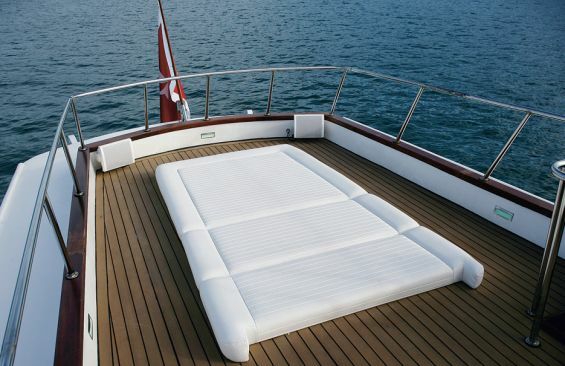 M/Y SURUBIM’s decks continue forward to a custom built cushioned seating area. 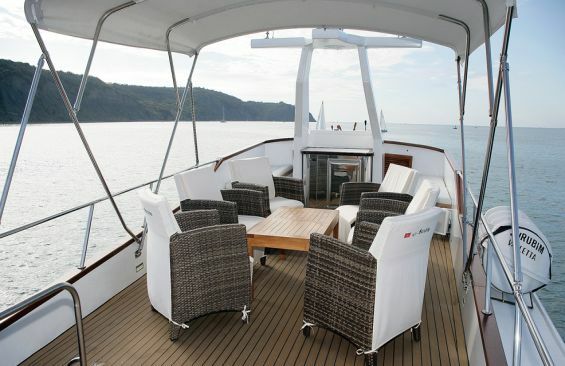 Above the main deck and accessed from the aft deck, the sundeck offers a shaded lounge area with large outdoor chairs complete with coffee table, further aft a double sunpad awaits. 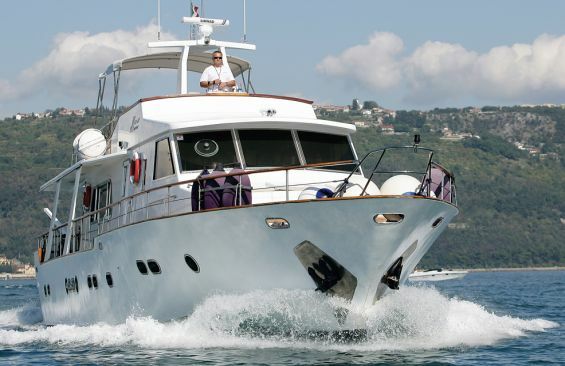 Charter yacht SURUBIM is powered by 2 Volvo Penta 400HP engines capable of 10 knots cruising speed and 15 knots maximum speed. 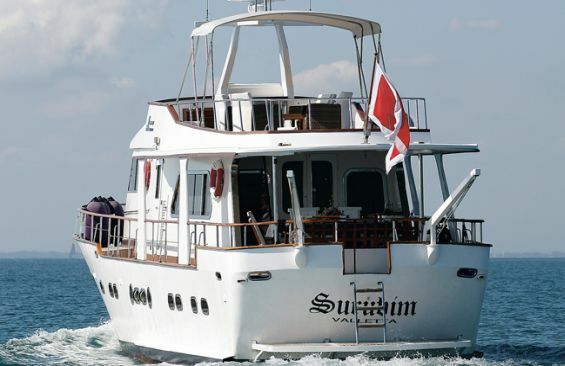 The classic motor yacht SURUBIM accommodates 8 guests in 4 twin cabins. 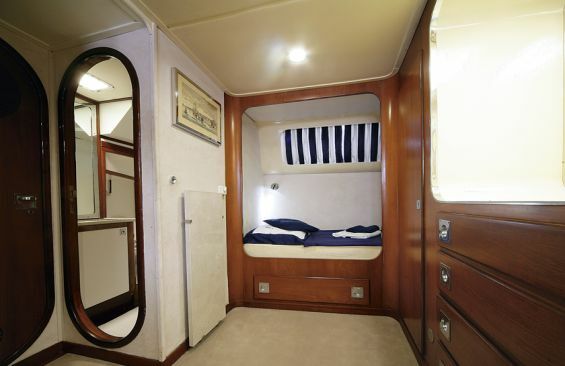 The master cabin has 2 side by side single beds and en-suite facilities. 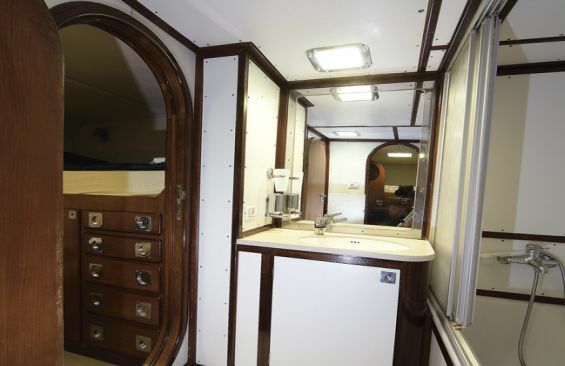 The VIP cabin offers 2 single beds and en-suite facilities. 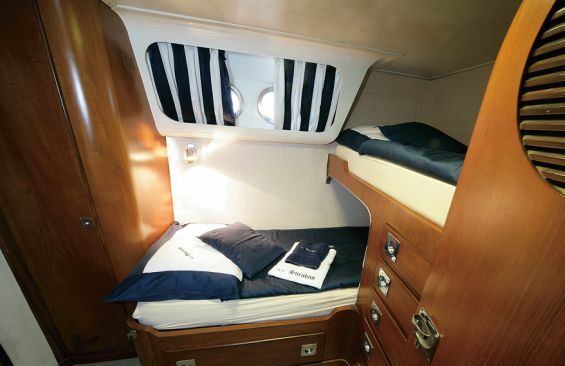 A further 2 cabins have bunk bed style single beds with shared facilities. 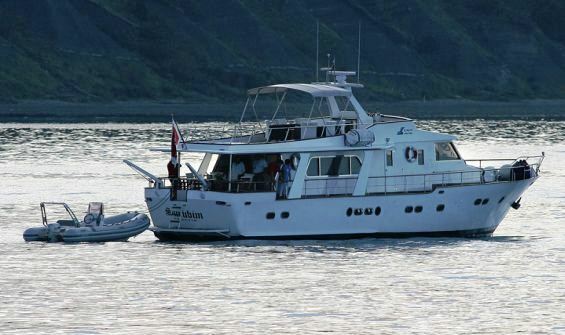 The SURUBIM motor yacht carries the following Tenders & Toys: An Inflatable boat, 5,30m, powered with EVINRUDE 90 HP- Water skiing equipment and some other toys tube, wake-board Fishing and diving equipment (optional). 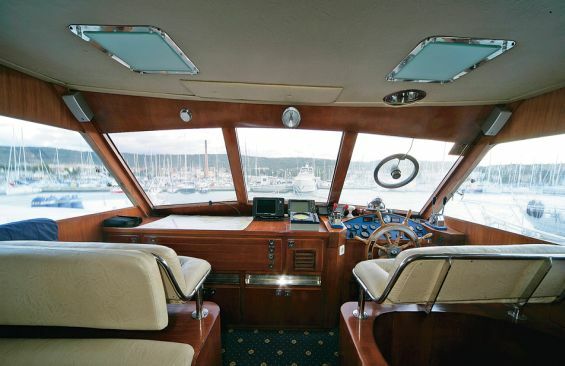 Audio Visual Equipment and Deck Facilities include a Hi-fi stereo system, DVD/CD player, TV.